During our 50-plus years in the scrap-metal business, Gibbs has gained a reputation as a name to trust. We pride ourselves in offering a professional and friendly service to both businesses and members of the public. Our modern fleet is updated regularly to ensure maximum reliability for our customers. The fleet consists of articulated bulkers, flatbeds and 4-, 6- and 8-wheel skip and roll on/off lorries, all of which adhere to FORS gold standard. What’s more, all our vehicles are fitted with an advanced digital tracking system, enabling us to follow your scrap’s journey from collection to the moment it crosses the weighbridge. 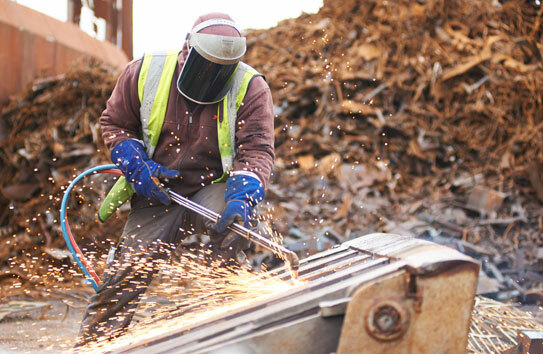 This ensures complete peace of mind that Gibbs was the right choice for your scrap metal. In an industry not known for its environmental awareness, Gibbs’ reputation for the highest standards certainly stands out. 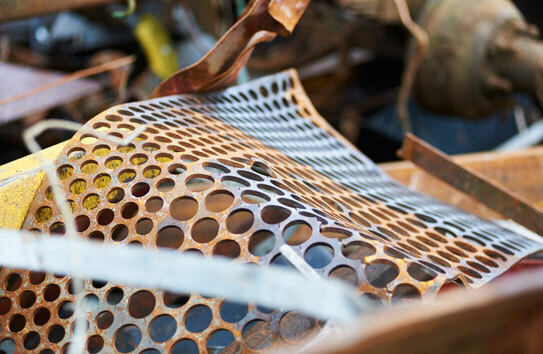 We pride ourselves on setting a high bar within the scrap-metal market, taking our responsibility to protecting the planet seriously. All Gibbs offices and sites are constantly monitored for processes, cleanliness and safety, with a regular programme of improvements where necessary. Our 5-acre site at Hoddesdon in Hertfordshire is fully bunded and we work closely with Thames Water to ensure our trade effluent is monitored closely. As a result, we believe that Gibbs sets the benchmark for others to reach. Gibbs continues to move with the times, going the extra mile in order to exceed requirements for quality and environmental responsibility. As such, we have gained accreditations including ISO 9001 and ISO 14001 certificates, FORS and AFRA to name just a few, as well as the relevant government and industry licenses for transportation, waste disposal and metal recycling.